KRB have had a busy few weeks at the store sales in Goffs, Tattersalls Ire and Arqana, where they managed to buy some lovely horses for their clients. On the racing front, the promising two year old I’ll Have Another won on the last day of June for Paul and Clare Rooney and trainer Mark Johnston. I’ll Have Another was winning under a penalty at Doncaster and she looks to have a very bright future. She was bought by KRB as a yearling from the late Frank Barry’s Manister House Stud in Limerick. Today at Limerick One In All In won the novice hurdle for Henry de Bromhead in the colours of Chris Jones, and given a confident ride from Davy Russell. He will now be targeted at the Galway festival. Another horse that could be going to Galway could be Castlehume who returned after a long absence to win the two mile handicap hurdle at Bellewstown on Friday night. 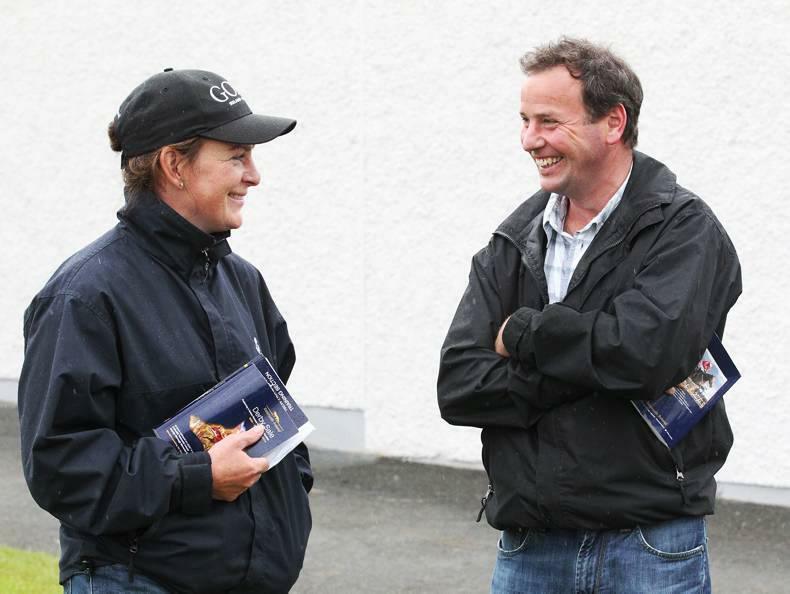 Trained by Noel Meade for the Castlehume syndicate who are longtime clients of KRB he was bought for them as a store.